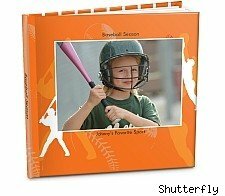 Get 30 free photo prints from Shutterfly.com for starting an online account with them. Use coupon code RCATHIRTY, which expires May 27, 2010. You pay shipping, handling, and taxes. If you buy 50 or more prints, standard shipping is free through May 26, 2010. Use coupon code SHIPPRINTS. Or, if your photo tab equals $30 or more, use coupon code SHIP30 to get free shipping. Its unclear what kind of prints are included in the 30 freebie deal, but I'm guessing it is only good for the standard 4" x 6" prints. Caveats: One use per household during valid period. Valid for shipped orders only.